Whilst visiting Dungeness make sure you look out for Derek Jarman’s famous garden at Prospect Cottage. 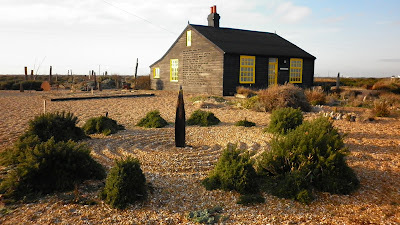 A brilliant and greatly loved artist and film maker who, against all odds, made a breathtakingly beautiful garden in the most inhospitable of places – the flat, bleak, often desolate expanse of shingle overlooked by the nuclear power station. 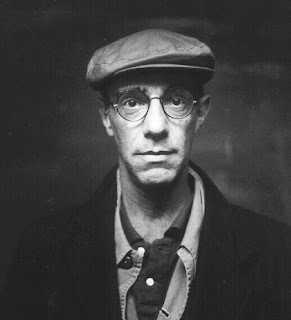 Derek Jarman is probably most well known for his work on pop videos and the films Jubilee and Caravaggio but he was also a stage designer, diarist and artist. 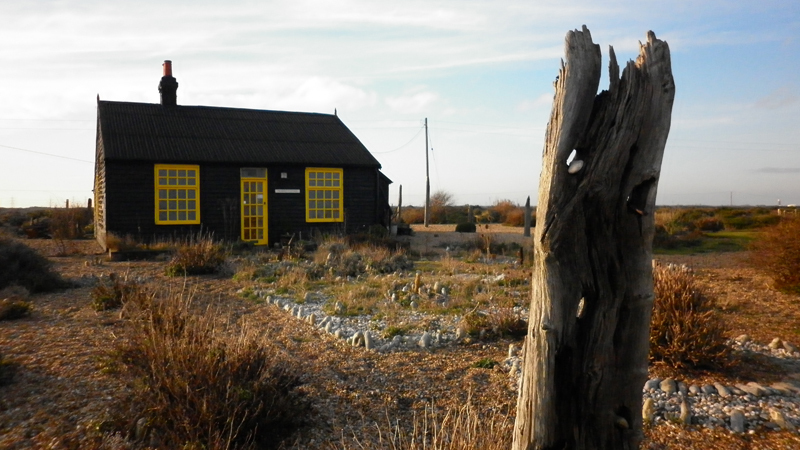 The house is built in tarred timber. The garden was created in the latter years of his life, in the shadow of Dungeness nuclear power station. It has a complex geometrical plan, magical stone circles and beautiful and bizarre sculptures. It was made using local materials and has been the subject of several books. At this time, Jarman also began painting again. 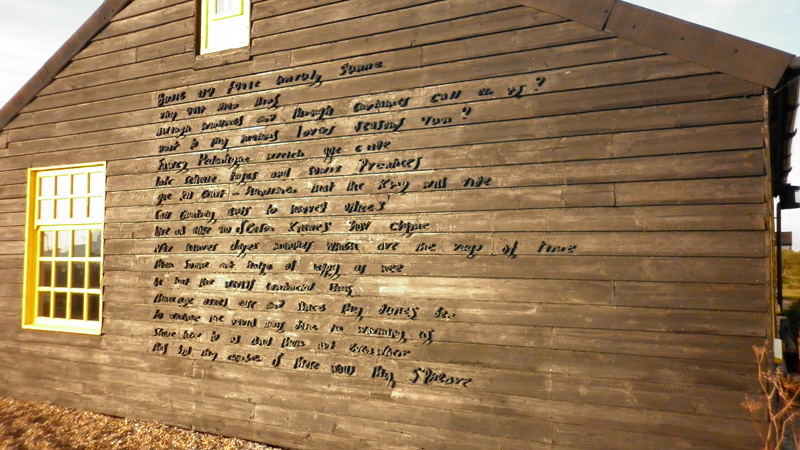 Raised wooden text on the side of the cottage is the first stanza and the last five lines of the last stanza of John Donne’s poem, The Sun Rising. There is a moving article on The Guardian website by Howard Sooley about Derek and the garden. He also contributed photographs to Derek Jarman’s last book about the creation of the garden.